Today I would like to share with you the formula for my own personal jasmine natural perfume. Formulas are not often shared so why am I doing this? Simply because over the years I have learnt a lot on the web about many topics that I am interested in, thanks to generous people willing to share their knowledge and experience. It is in this spirit that I want to share a personal fragrance formula that I love based on jasmine. Jasmine is a much loved flower, offering a rich and heavy narcotic floral scent with an animalic background. The sambac variety is deeper, spicier, less sweet and more intense than the grandiflorum. The grandiflorum variety showcases delicious sweet fruity notes. 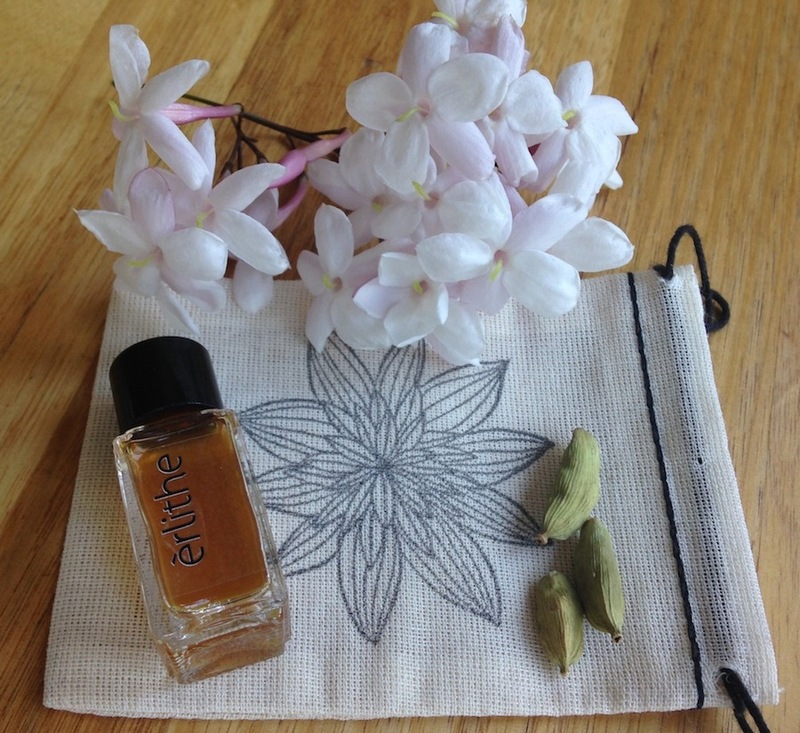 From an aromatherapy point of view, jasmine is uplifting, rejuvenating and energising with aphrodisiac qualities. The blooms continue to emit scent long after they have been picked from the plant. I can vouch for this – I picked a little sprig last Friday on my way to work. I popped the sprig in my top pocket and all day I was gifted with the most amazing wafts of jasmine. I kept forgetting I had it in my pocket and found myself wondering on occasion where the lovely smell was coming from! I still have the little sprig on my desk. The blooms are now completely shrivelled but are still emitting a scent – 5 days later, amazing! Today, I collected a much larger bunch, which will keep the house smelling fantastic for days. The following formula I do not sell. This is because I use a few ingredients that can be hard to come by and so I reserve it for my own personal use. I apologise that it is not a perfume formula that you can whip up today. If you don’t have an extensive perfumers palette you may not have some of the ingredients on hand and so will need to purchase before you have a go. In addition I have used a handmade organic peruvian cacao nib tincture (aged 4 months before filtering) and vanilla bean tincture (aged 9 months) in pure natural grape alcohol as the base for this perfume. It is well worth going to the effort of making these tinctures. If you are not inclined to make your own perfume, I hope it gives you a little insight into the process I use to create perfume. This perfume is what I’d describe as a rich oriental spicy floral – my favourite! Measure in a sterilised small measuring glass (30ml glass) using disposable pipettes. Stir together, pour into a bottle and allow to marry for at least a week – preferably 2 – 3 weeks. After this time, strain through a funnel lined with unbleached filter paper. Decant into a 4ml bottle. This makes just under 4mls of perfume at around 15% concentration. Multiply as required to scale up. For larger volumes I would recommend converting the drops to weight to ensure accuracy in subsequent replication. I use Opoponax absolute – not the essential oil. There is a vast difference in smell! 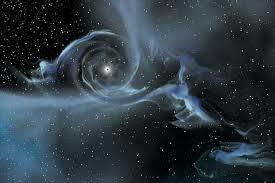 The absolute is much richer and deeper. It is also the consistency of syrup and so it is best to dilute before using. Indole is a natural isolate and even at 2% dilution is quite strong – smells a bit like moth balls. It occurs naturally in jasmine and helps add a little radiance. I’ve only added a dash, so it wouldn’t hurt to leave out as there is already plenty of jasmine in the perfume. If you would like to know a little more about indole, Victoria on her blog Bois de Jasmin writes beautifully about all things olfactory. Blackcurrant Bud absolute – I adore this, although some liken it to cat pee! I don’t smell that myself. To me it smells earthy, fruity and wine like. Only a small amount is needed to prevent overpowering. Cognac essential oil – this has a dry, tart, wine like aroma. It is used as a modifier to add a bit of lift to the blend. It is only needed in minute amounts, unless you really want the full dry, tart experience. Violet Leaf absolute – has a very cool, green, leaf like aroma. This has to be added very carefully, otherwise your perfume will become a very “green” scent. Just a little bit, hints to the freshness of leaves whilst adding a long dry out to the perfume. For the citrus oils I like to keep them in the 2 – 3% range in the finished perfume due to the issues with photo-toxicity. For this reason, I also only use distilled oils (not expressed citrus oils) and choose bergaptene free bergamot. Nonetheless, I recommend that perfumes containing citrus are not applied to skin that will be exposed to the sun or UV rays within 24 hours. Basil absolute should be kept at less than 2% of the fragrance concentrate. Here it is used at 1.5%. I normally have the base ingredients representing a higher ratio in my formulas, however, the tinctures here are acting as a base. To help the longevity of your fragrance, make sure your skin is well moisturised with an unscented product where you will apply the fragrance. This gives the perfume something to hold on to. If you give this a try I’d love to know how it went and what you think. Also, if you make any adjustments, I’d love to know what they were and how they turned out. P.S. 23/06/15 I just thought I’d add the following in case readers were unaware: natural jasmine absolute is restricted in commercial fragrances by IFRA due to the potential for skin sensitisation. Jasmine Grandiflorum absolute is allowed at a maximum of 0.7% in the finished fragrance and Jasmine Sambac absolute at 4%. Rose absolute is restricted to 5% of the fragrance concentrate. The above recipe has the Jasmine Grandiflorum at around 0.9% of the finished fragrance and the Rose Absolute at around 6% of the fragrance concentrate – so both are above the IFRA limits. The Jasmine Sambac is ok at around 1.8%. As this is a recipe for personal use, if you choose to make it, it is at your own discretion. If you are concerned you can halve the Jasmine Grandiflorum and Rose absolute and see how it smells. As a precaution, I think it is good practice for personal safety to always check that online fragrance recipes are using ingredients within recommended usage limits by IFRA and if they are not, at least you are aware and can make an informed decision as to whether to go ahead and make the blend. (When I was starting out years ago I followed an online lip balm recipe. The cinnamon essential oil looked a bit too much so I halved it – thank goodness I did, because even with using half the amount of the cinnamon my lips instantly swelled to twice their size and became extremely red! The Good Scents Company is also very good for such information. Tincturing is something I’ve been experimenting with since the arrival of my vast amount of 190-proof, natural grape alcohol. My latest tincture experiment I thought I’d share with you is a strawberry tincture. I took some freeze dried strawberries and placed them in a sterilised glass jar. I covered them with the 190-proof natural grape alcohol and gave it all a bit of a shake for a couple of weeks. The freeze dried strawberries transferred their colour and aroma over to the alcohol quite quickly, so I possibly could have removed them a bit sooner. I filtered off the strawberries and now have a beautiful strawberry smelling alcohol to use as a base for future perfumes. I’m finding the strawberry aroma adequate after just the one lot of strawberries. In fact, it’s a lot stronger than I had anticipated. Late last night I opted to use my strawberry tincture to make a perfume rather than going to bed early! I’ve been contemplating what approach to take to make a Tuberose perfume for myself for a little while now and so thought I’d see how the strawberry base works. I’ve never been partial to Honore des Pres Vamp A NY bubblegum take on Tuberose preferring Aftelier’s tempering of the sweetness with Cepes Absolute in Cepes & Tuberose, but over time I am actually starting to appreciate the cloying sweet component of Tuberose. 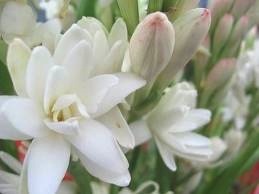 So, late last night I had the idea of a fruity Tuberose, chocolate truffle type perfume. I included Cepes absolute but in a trace amount only, added Cocoa absolute to a base of Vanilla, Labdanum, Oakmoss, Sandalwood and Benzoin and then made a heart of Tuberose, Orange Blossom, Bulgarian Rose and Linden Blossom. I chose Linden Blossom as it has this amazing fruity rum ‘n’ raisin like vibe and I took a punt that this aspect would marry nicely to the strawberry base, Cocoa absolute, earthy Cepes and sweet Tuberose. For the top notes, I’m using citrus with a dash of Peppermint for subtle freshness. So far so good. 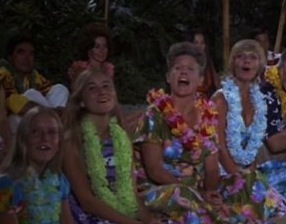 The strawberry is actually the first thing I smell, with a definite rum ‘n’ raisin back note. 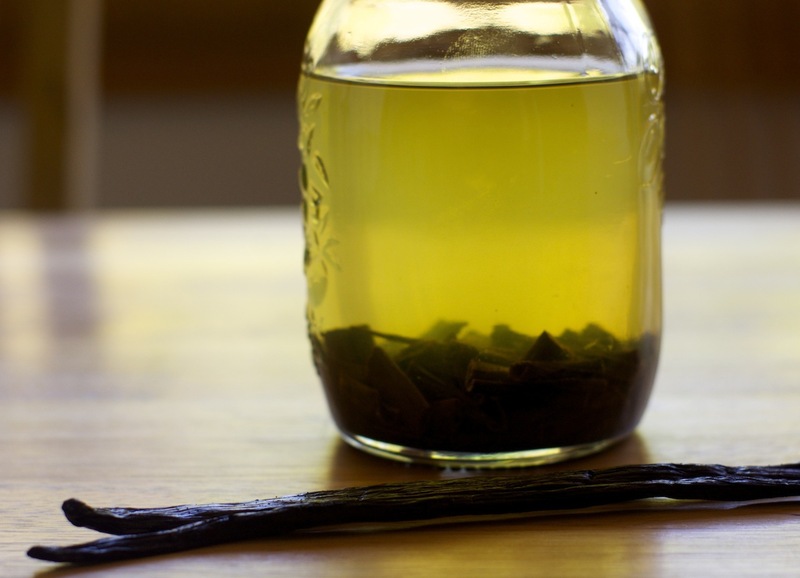 I also thought I’d give a little pictorial update on the Vanilla Bean Tincture. Here it is, looking dark and delicious! It was with much excitement (for me!) that my natural grape alcohol arrived today. A whole 20L of it! This alcohol is 190 proof and comes from the Barossa Valley in South Australia and will now replace the denatured ethanol 95PGP4 that I have been using in my perfumes to date. So now I patiently wait …. for around 6 months, giving a daily shake. When I think it is ready, I will then filter it. I am hoping that the final result will smell lovely like the Vanilla Bourbon CO2 from Madagascar that I currently use. Tincturing is something I’ve been keen to do for some time, however, I’ve been rather limited by the alcohol situation. I’ve been using denatured alcohol and as it costs $40 per litre (not including postage), I’ve not wanted to experiment with wild abandon. That is all about to change! I now have a permit to purchase pure natural grape alcohol which is en-route from the distillery as I type! Tonight I pulled out and filtered a couple of my denatured alcohol tincture experiments that have been doing their thing for many months. I’m pleased with the results and look forward to doing these with my natural grape alcohol in larger quantity. The beautiful dark tincture is of a french earl grey tea. An insanely beautiful tea by Tasmanian tea company the art of tea. This tea is laden with bergamot, hibiscus flowers, sunflowers and rose petals. The tincture is almost a complete perfume by itself! On the skin the florals are the first to appear enveloped by a lovely light tea aroma before leaving behind a subtle smoke and balsamic aroma. 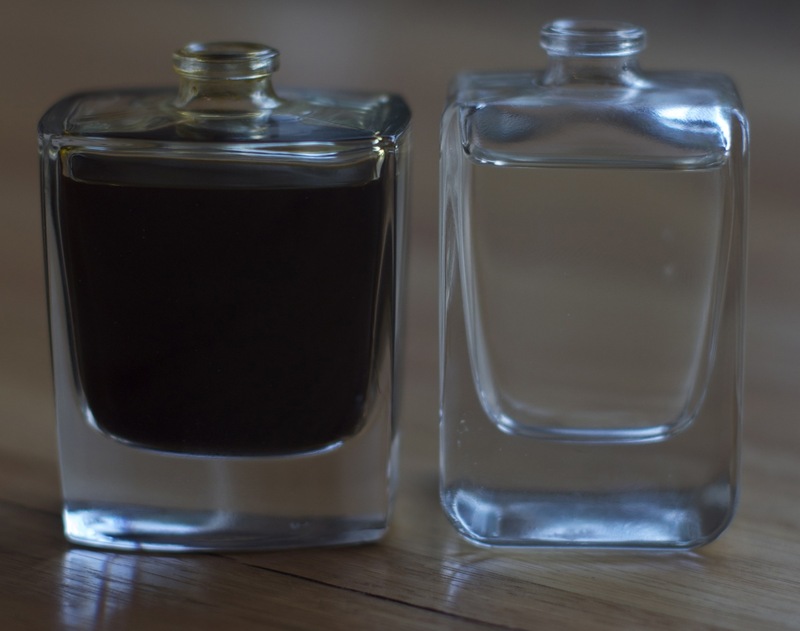 And on the right – in stark contrast to the dark tea tincture is a lovely clear basmati rice tincture. This doesn’t last very long on the skin but definitely lends a creamy, basmati rice note to the alcohol. 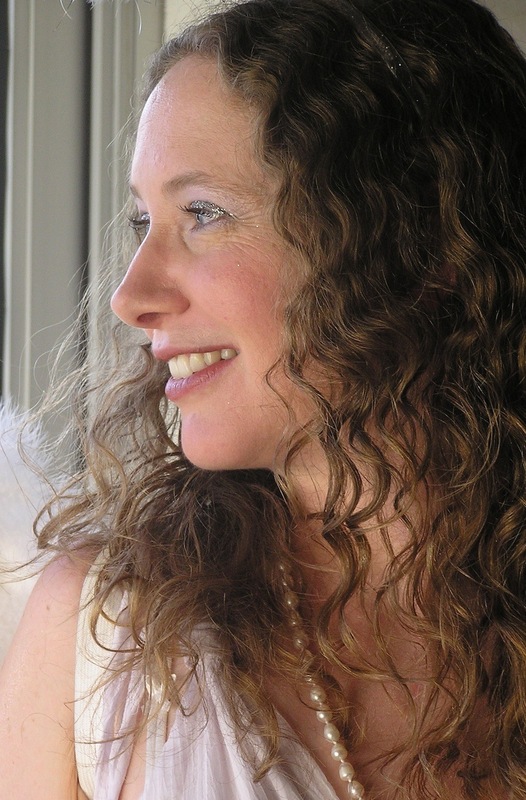 I’m looking forward to sharing my tincture adventures and some great new fragrances. Tasmania ‘the natural state’ is renowned throughout the world as one of the cleanest places on earth, boasting one of the last pristine temperate wilderness areas. Around 45% of Tasmania consists of reserves, national parks and world heritage sites. It is the destination for anyone wanting to experience the magnificence of nature and unique flora and fauna. Tasmania is the place of dreams – a place people wish they could live, but due to low employment opportunities, most only get to experience the magic of Tasmania on holidays. I therefore consider myself incredibly lucky that I have the opportunity to live here and be inspired by Tasmania’s beauty in the creation of my natural perfumes. I could rave on forever about how amazing Tasmania is but I will now get to the main discussion point of this blog entry – a natural botanical perfumery ingredient that once again puts Tasmania on the world map, Boronia Absolute. Boronia Absolute is produced from the flowers of a native shrub – Boronia megastigma (brown boronia). It is an evergreen shrub with intensely rich, fragrant flowers. How intense? INTENSE!! Yesterday I visited a local garden nursery to pick up some vegetable seedlings and seeds for my new veggie patch. As I was wandering through the nursery an amazing sharp, floral, tangy, zesty smell wafted my way. I stopped dead in my tracks, excitedly sniffing the air! I knew that smell! Following my nose I found a table holding around 7 plants – BORONIA!! I was beside myself with excitement. I shouldn’t have been so surprised, this is Tasmania after all! However, I have not actually seen and smelt the real plant before and have not as yet come across a nursery that had it in stock. I grabbed 3 of the plants like there was no tomorrow! The fragrance is amazing, smelling just like my boronia absolute at home! I carried my beloved boronia’s with me around the nursery as I gathered what I had actually gone there for, all the while their heavenly scent surrounding me. The car was filled with the intoxicating boronia aroma for the drive home and my lovely plants are currently sitting on a table outside delighting me with their fragrance each time I pass. There are around 90 – 100 species of boronia. Boronia megastigma or brown boronia is the type that is used for the production of boronia absolute. They grow to about 1 meter x 1 meter and have delightful purple-brown bell shaped flowers with a striking yellow/lime green colour inside. I also chose a yellow boronia with yellow bell shaped flowers, still fragrant but not as intensely fragrant as the brown boronia. Apparently they can be difficult to grow, tending to be fast growing and short lived – not particularly good news for a non green thumb such as myself! The shrubs are commercially grown in a number of locations throughout Tasmania – around 12 plantations are located in the North and East of Tasmania, totalling around 45 hectares. The flowers are mechanically harvested between August and October each year. The concrete is produced from the open flowers by non-chlorinated solvent extraction. Traditional alcohol extraction of the concrete produces the absolute. There are around 150 chemical constituents that naturally occur in Boronia, with beta-ionone and dodecyl acetate being the two main components contributing to the aroma. The aroma is typically described as an intensely rich and floral aroma with an initial opening of the natural green freshness of cassis and the character of ripening hay followed by exotic fruit undertones of yellow freesias and a woody dry-out. The persistency and intensity of the scent has made it highly valued in the perfumery world and is also used in the food industry as an addition to citrus and berry formulations. There is only 1 producer here in Tasmania that I am aware of. 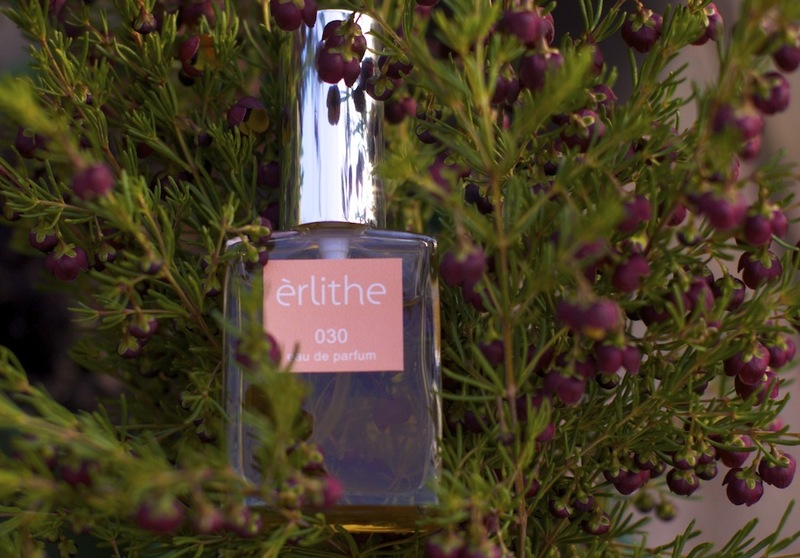 The high demand and small supply makes boronia absolute an incredibly expensive, if not the most expensive, botanical perfumery ingredient in the world. The producer only sells to those capable of buying in large quantities – to then buy from these suppliers is very costly, a very recent quote for just 50 mls of absolute will set me back AUD$1750!! For those who follow this blog, you’ll be aware that I make and sell 030 Orange Blossom and Boronia Natural Perfume – I occasionally worry that I won’t be able to secure enough boronia to keep making this perfume, but I guess that’s just the way it is sometimes. 030 Boronia perfume amongst the Boronia! Have any of my readers ever seen and smelt real boronia? If so, what did you think of it? I credit my discovery and subsequent love of spicy foods to the year (1994) I lived in Singapore. Prior to that, I can’t recall having tried spicy food at all. My love of spice has also transferred to the world of perfume. I find myself often reaching for a spice note. The spice notes can liven up a perfume and often lend themselves to warm and sensual fragrances usually associated with the oriental style perfumes. It has also been interesting to discover that certain florals can sometimes have a sharp, spicy element to them. For instance rose – some varieties have a subtle spicy, peppery note, when paired with a dash of pepper, that aspect of the flower can be nicely accentuated. When using spice to ‘spice’ up a perfume, it is useful to know that they fall into sub-categories: dry spice, sweet spice and fresh spice. Juniper Berry – a heart note distilled from the berries, the aroma is dry, crisp, woody and warm with a subtle fruity note. Juniper berries are responsible for giving gin its well known distinctive flavour. Black Pepper/Pink Pepper/Green Pepper – a top note, each type of peppercorn may have subtle differences however they are all essentially dry, fresh, warm, spicy and peppery! Cardamom – one of my absolute favourites. It has a lovely refreshing, sweet spicy aroma. I find it provides a lovely lightness, lift and freshness to the top of perfumes. Nutmeg – from the seed, reminds me of rice pudding. A fresh, warm and sweet top note. Clove – not my personal favourite, makes me feel a little queasy! Nonetheless I don’t mind it in teensy amounts with florals, as it lends body and a sweet warm richness to the heart with a woody, balsamic undertone. Cinnamon – essential oil can be distilled from each part of the tree, however, the bark has the classic aroma that most would be familiar with from food. Cinnamon adds a lovely sweetness and warmth and will quickly turn a fragrance into the gourmand variety, which is fine if that is what you are after! If not, a sparing approach is required. Ginger – a mouthwatering middle note. Very rich, warm and spicy. I find the standard essential oil I have has a subtle floral component, whereas the fresh ginger version has much greater freshness and clarity. Coriander – distilled from the seeds, coriander is very useful as a fresh, uplifting top note. 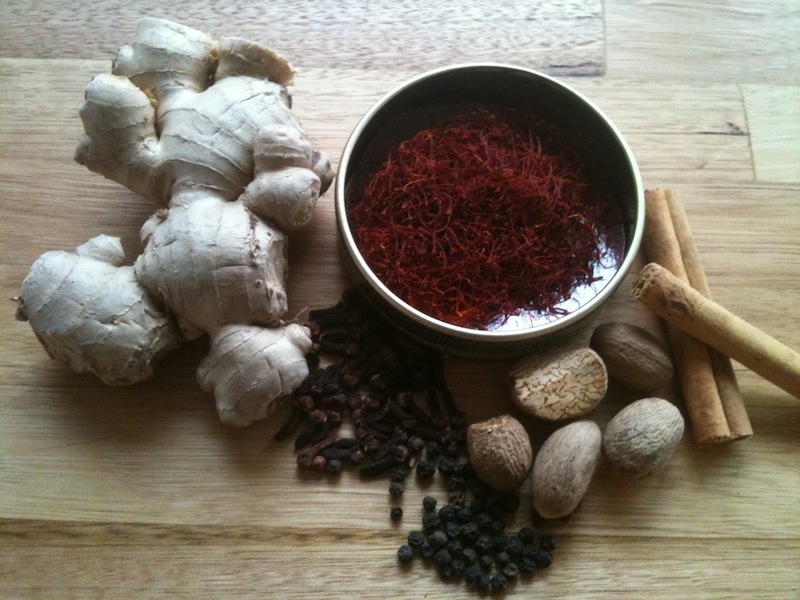 I obviously must love the spice notes – writing this has made me aware that I have used spice in 4 of my 5 natural perfumes I sell! When I started learning about perfumery, this question initially perplexed me. You often see amber in the list of a perfumes notes and so I assumed that you could just purchase amber as one would rose, sandalwood etc. There are indeed a number of online shops that sell amber oils and so it’s easy to think that there is an actual essence. Further investigation reveals that these are blends of quite a number of aromatic materials. So, what is amber? Physically, amber is a fossilised tree resin. The tree initially exudes the resin through breaks in the bark, this resin falls to the ground and becomes buried. Over millions of years it hardens and becomes fossilised. This is the amber we are familiar with in jewellery. Some essential oil suppliers do supply an amber oil which comes from these fossilised tree resins, however, the aroma is often not particularly pleasant. One supplier was kind enough to warn me prior to purchase that the amber oil they sold smelt like bitumen. Eden Botanicals has managed to find a pure amber oil that apparently smells great and is produced by a process called dry distillation – on my list to try! Overall, the word amber when used in perfumery is referring to an effect rather than an actual ingredient. It is used to describe an accord that has a sweet, rich, warm and balsamic aroma. Each perfumer or company will blend their own amber accord to evoke the warm, sensual, golden glow of the actual resin. As I don’t use synthetics, I can’t comment on what ingredients a perfumer who uses synthetics may use to blend an amber accord. 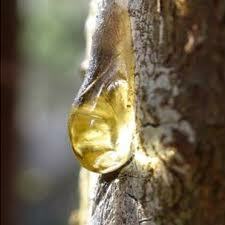 However, for the natural perfumer there are 3 core ingredients upon which an amber accord can be made. 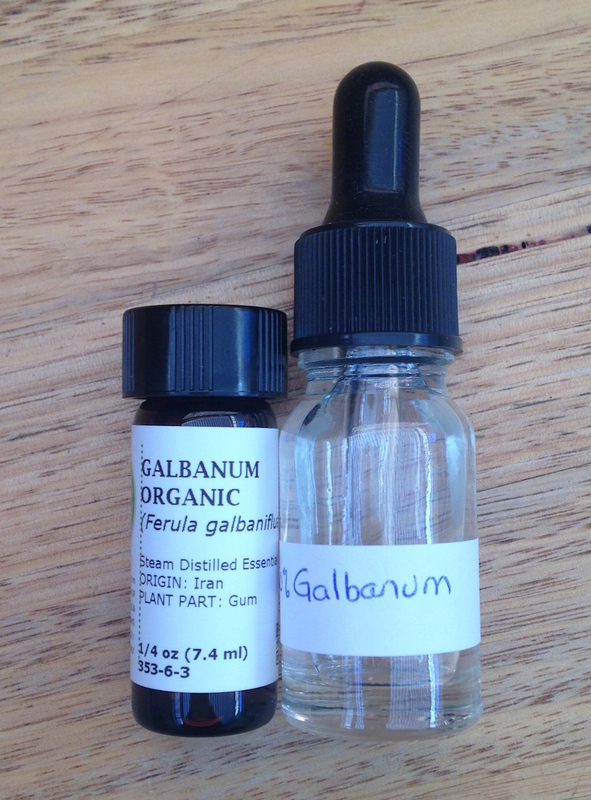 These are: Benzoin, Labdanum and Vanilla. Benzoin – comes from a species of tree in the styrax genus, either styrax tonkinensis or styrax benzoin. It has a sweet, warm vanilla like aroma and is great as a fixative. (Be aware that Benzoin can cause skin sensitivity in some individuals and that the crude gum should not be used). 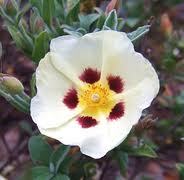 Labdanum – is a sticky, thick resinous substance from the Spanish cistus ladanifer. Tradionally it was gathered by combing the thighs and beards of sheep and goats after they had grazed on the cistus bushes. It is useful as a fixative and has an amazing ambery, warm, rich, leathery, smoky aroma. There is something deeply mesmerising, familiar, comforting and magical about the aroma of labdanum and for me this is the key ingredient in an amber accord. 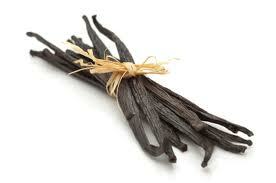 Vanilla – we all know the aroma of vanilla! For perfumery purposes, the Madagascan Vanilla Bourbon has a high vanillin content which lends a rich, sweet, balsamic aroma. Mandy Aftel in her book ‘Essence and Alchemy’ has a nice basic amber accord recipe based on these 3 ingredients. From there other accent notes can be added to differentiate amber accords if desired, for example, small amounts of floral essential oils can be used for floral ambers, frankincense can be used for mysterious incense ambers, juniper berry can create a drier amber, clary sage is also beautiful in amber accords due to it’s amber like aroma and ambrette seed can add a musk component. Hopefully I have shed a little light on amber for those who may be bamboozled like I once was!